I, too, would like to see Justice Kagan. 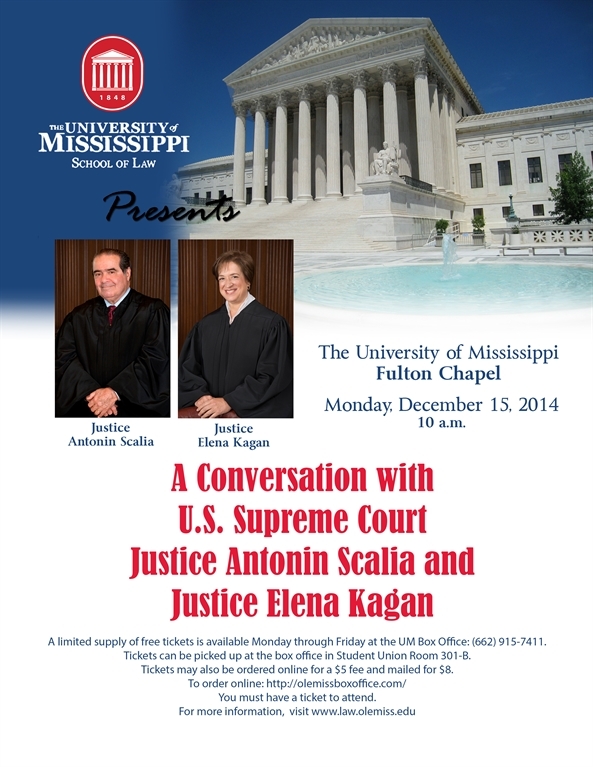 Having seen Justice Scalia in Jackson a few years ago, I would not venture to see him as the only speaker. I was greatly disappointed. I imagine Ole Miss will have a better venue. I’m going, I hope! Would love to see Kagan! You didn’t mention Scalia- not interested in hearing what he has to say? I confess that my contempt for Scalia has grown unmanageable. I would prefer he died of natural causes between now and then. I realize this is a vice on my part. You are currently reading Justices Kagan and Scalia at OM Law School at The Better Chancery Practice Blog.